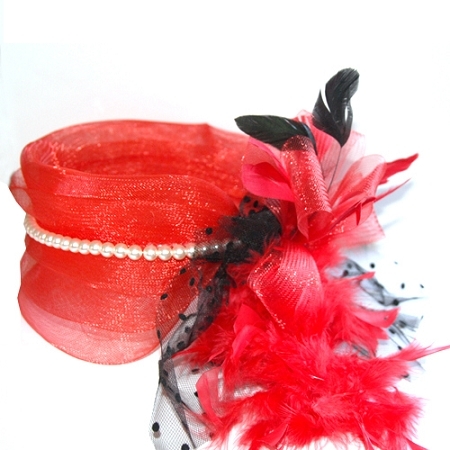 Red hat fascinator accented with feathers, pearls and tulle. It's great with any occasions. 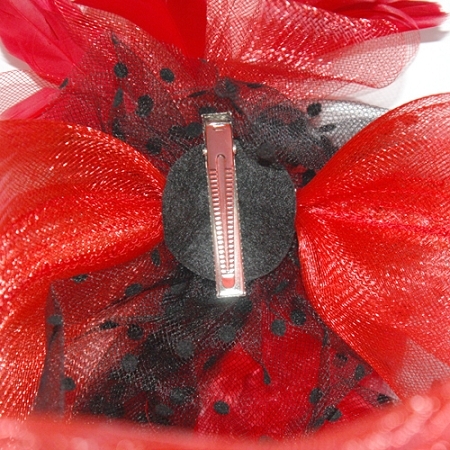 Attached with a clip on the side. 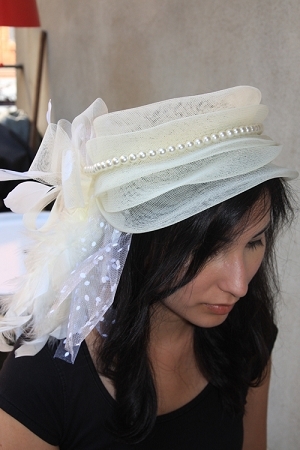 Approximately dimension of hats: 10-11" diameter. 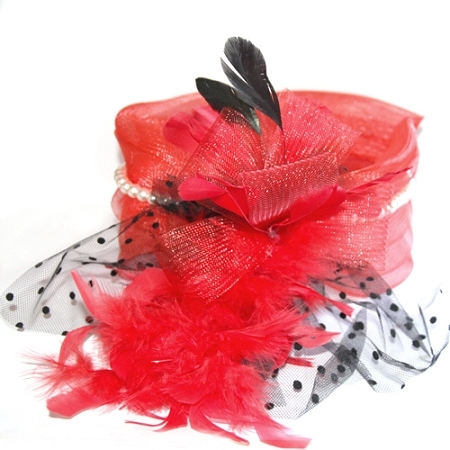 Material: tulles, pearls, feather, polyester, and metal clip.